Jeremy Scahill, a Puffin Foundation Writing Fellow at The Nation Institute. Despite sustained denials by US officials spanning more than a year, U.S.military Special Operations Forces have been conducting offensive operations inside Pakistan, helping direct US drone strikes and conducting joint operations with Pakistani forces against Al Qaeda and Taliban forces in north and south Waziristan and elsewhere in the Federally Administered Tribal Areas, according to secret cables released as part of the Wikileaks document dump. According to an October 9, 2009 cable classified by Anne Patterson, the US ambassador to Pakistan, the operations were "almost certainly [conducted] with the personal consent of [Pakistan's] Chief of Army Staff General Kayani." The operations were coordinated with the US Office of the Defense Representative in Pakistan. A US special operations source told The Nation that the US forces described in the cable as "SOC(FWD)-PAK" were "forward operating troops" from the Joint Special Operations Command (JSOC), the most elite force within the US military made up of Navy SEALs, Delta Force and Army Rangers. The cables also confirm aspects of a Nation story from November 2009, The Secret US War in Pakistan, which detailed offensive combat operations by JSOC in Pakistan. In response to the Nation story, Pentagon spokesperson Geoff Morrell called it "conspiratorial" and explicitly denied that US special operations forces were doing anything other than "training" in Pakistan. More than a month after the October 2009 cable from the US embassy in Pakistan confirming JSOC combat missions, Morrell told reporters: "We have basically, I think, a few dozen forces on the ground in Pakistan who are involved in a train-the-trainer mission. These are Special Operations Forces. We've been very candid about this. They are-they have been for months, if not years now, training Pakistani forces so that they can in turn train other Pakistani military on how to-on certain skills and operational techniques. And that's the extent of our-our, you know, military boots on the ground in Pakistan." According to the October 2009 cable, Morrell's statement was false. In one operation in September 2009, four US special operations forces personnel "embedded with the [Pakistani] Frontier Corps (FC)…in the FATA," where the Americans are described as providing "ISR": intelligence, surveillance and reconnaissance. The support from the US forces, according to the cable, "was highly successful, enabling the FC to execute a precise and effective artillery strike on an enemy location." A month later, according to the cable, the Pakistan Army again "approved deployment of US special operation elements to support Pakistani military operations." To the embassy staff, this was documented in the cable as a "sea change" in Pakistan's military leaders' thinking, saying they had previously been "adamantly opposed [to] letting us embed" US special ops forces with Pakistani forces. According to the cable, "US special operation elements have been in Pakistan for more than a year, but were largely limited to a training role," adding that the Pakistani units that received training from US special operations forces "appear to have recognized the potential benefits of bringing US SOF personnel into the field with them." In another operation cited in the cables, the US teams, led by JSOC, were described as providing support to the Pakistani Army's 11th Corp and included "a live downlink of unmanned aerial vehicle (UAV) full motion video." Whether the drones were used for surveillance or as part of a joint offensive is unclear from the documents. While the US government will not confirm US drone strikes inside the country and Pakistani officials regularly deride the strikes, the issue of the drones was discussed in another cable from August 2008. That cable describes a meeting between Ambassador Patterson and Pakistani Prime Minister Yousaf Raza Gillani. When the issue of US drone strikes came up, according to the cable, Gillani said, "I don't care if they do it as long as they get the right people. We'll protest in the National Assembly and then ignore it." The ability of US special operations forces to operate in Pakistan is clearly viewed as a major development by the US embassy. "Patient relationship-building with the military is the key factor that has brought us to this point," according to the October 2009 cable. It also notes the potential consequences of the activities leaking: "These deployments are highly politically sensitive because of widely-held concerns among the public about Pakistani sovereignty and opposition to allowing foreign military forces to operate in any fashion on Pakistani soil. Should these developments and/or related matters receive any coverage in the Pakistani or US media, the Pakistani military will likely stop making requests for such assistance." Such statements might help explain why Ambassador Richard Holbrooke lied to the world when he said bluntly in July 2010: "People think that the US has troops in Pakistan, well, we don't." A US special operations veteran who worked on Pakistan issues in 2009 reviewed the Wikileaks cables for The Nation. He said he was taken aback that the cable was not classified higher than "SECRET" given that it confirms the active involvement of US soldiers from the highly-secretive, elite Joint Special Operations Command engaging in combat-not just training-in Pakistan. And offensive combat at that. JSOC operations are compartmentalized and highly classified. Pentagon spokespeople have repeatedly insisted that the US military's activities in Pakistan are restricted to training operations. Even after the October 2009 cable and multiple JSOC operations in Pakistan, US and Pakistani officials continued to hold official meetings to discuss "potential" joint operations. In January 2010 in Washington DC, US and Pakistani military officials gathered under the umbrella of the "US-Pakistan Land Forces Military Consultative Committee." According to notes from the meeting, they discussed US military operations in Pakistan aiming to "enhance both US and Pakistan Army COIN [counterinsurgency] capabilities" and "potential US COIN Center/Pakistan Army interactions." Among the participants were representatives of the Special Operations Command, the chairman of the Joint Chiefs' Pakistan-Afghanistan Coordination Cell, the Office of Defense representative-Pakistan and a Pakistan delegation led by Brigadier General Muhammad Azam Agha, Pakistan's director of military training. A special operations veteran and a former CIA operative with direct experience in Pakistan have told The Nation that JSOC has long engaged in combat in Pakistan-which raises a question: How in-the-loop is the US embassy about the activities of JSOC in Pakistan? Just because Ambassador Anne Patterson approves a cable saying that US special ops forces have only done two operations with Pakistani forces and plays this up as a major-league development doesn't make it true. JSOC has conducted operations across the globe without the direct knowledge of the US ambassador. In 2006, the US military and Pakistan struck a deal that authorized JSOC to enter Pakistan to hunt Osama bin Laden and other Al Qaeda leaders with the understanding that Pakistan would deny it had given permission. 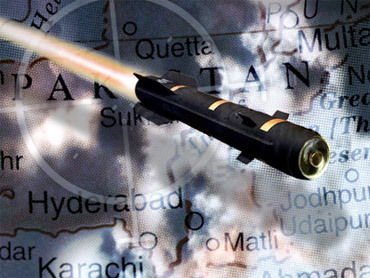 JSOC has struck multiple times inside Pakistan over the years, regardless of what Ambassador Patterson's cables may say. A former senior executive at Blackwater confirmed the military intelligence source's claim that the company is working in Pakistan for the CIA and JSOC, the premier counterterrorism and covert operations force within the military. He said that Blackwater is also working for the Pakistani government on a subcontract with an Islamabad-based security firm that puts US Blackwater operatives on the ground with Pakistani forces in counter-terrorism operations, including house raids and border interdictions, in the North-West Frontier Province and elsewhere in Pakistan. This arrangement, the former executive said, allows the Pakistani government to utilize former US Special Operations forces who now work for Blackwater while denying an official US military presence in the country. He also confirmed that Blackwater has a facility in Karachi and has personnel deployed elsewhere in Pakistan. The former executive spoke on condition of anonymity. According to the executive, Blackwater works on a subcontract for Kestral Logistics, a powerful Pakistani firm, which specializes in military logistical support, private security and intelligence consulting. It is staffed with former high-ranking Pakistani army and government officials. While Kestral's main offices are in Pakistan, it also has branches in several other countries. Blackwater operatives also integrate with Kestral's forces in sensitive counterterrorism operations in the North-West Frontier Province, where they work in conjunction with the Pakistani Interior Ministry's paramilitary force, known as the Frontier Corps (alternately referred to as "frontier scouts"). The Blackwater personnel are technically advisers, but the former executive said that the line often gets blurred in the field. Blackwater "is providing the actual guidance on how to do [counterterrorism operations] and Kestral's folks are carrying a lot of them out, but they're having the guidance and the overwatch from some BW guys that will actually go out with the teams when they're executing the job," he said. "You can see how that can lead to other things in the border areas." He said that when Blackwater personnel are out with the Pakistani teams, sometimes its men engage in operations against suspected terrorists. "You've got BW guys that are assisting...and they're all going to want to go on the jobs-so they're going to go with them," he said. "So, the things that you're seeing in the news about how this Pakistani military group came in and raided this house or did this or did that-in some of those cases, you're going to have Western folks that are right there at the house, if not in the house." Blackwater, he said, is paid by the Pakistani government through Kestral for consulting services. "That gives the Pakistani government the cover to say, 'Hey, no, we don't have any Westerners doing this. It's all local and our people are doing it.' But it gets them the expertise that Westerners provide for [counterterrorism]-related work." The military intelligence source confirmed Blackwater works with the Frontier Corps, saying, "There's no real oversight. It's not really on people's radar screen." In November 2009, Capt. John Kirby, the spokesperson for Adm. Michael Mullen, Chair of the Joint Chiefs of Staff, told The Nation, "We do not discuss current operations one way or the other, regardless of their nature." A defense official, on background, specifically denied that Blackwater performs work on drone strikes or intelligence for JSOC in Pakistan. Captain Kirby told The Nation if it published the story it would "be on thin ice." The US embassy and Pakistan's interior Minister Rehman Malik both denied Blackwater was operating in Pakistan. In January 2010, on a visit to Pakistan, Defense Secretary Robert Gates, appeared to contradict that line, telling a Pakistani TV station, "They [Blackwater and another private security firm, DynCorp] are operating as individual companies here in Pakistan," according to a DoD transcript of the interview. As Gates's comments began to make huge news in Pakistan, US defense officials tried to retract his statement. As the Wall Street Journal reported, "Defense officials tried to clarify the comment…telling reporters that Mr. Gates had been speaking about contractor oversight more generally and that the Pentagon didn't employ [Blackwater] in Pakistan." The next day, Pakistan's senior minister for the North-West Frontier Province (NWFP), Bashir Bilour, said that Blackwater was operating in Pakistan's frontier areas. Bilour told Pakistan's Express News TV that Blackwater's activities were taking place with the "consent and permission" of the Pakistani government, saying he had discussed the issue with officials at the US Consulate in Peshawar, who told him that Blackwater was training Pakistani forces. Since the Nation story originally ran, Blackwater has continued to work under the Obama administration. In June, the company won a $100 million global contract with the CIA and continues to operate in Afghanistan, where it protects senior US officials and trains Afghan forces. Earlier this year, Blackwater's owner, Erik Prince, put the company up for sale and moved to the Abu Dhabi in the United Arab Emirates. Whether Blackwater or former Blackwater operatives continue to work in Pakistan is not known. What is clear is that there is great reason to believe that the October 2009 cable from Ambassador Anne Patterson describing US special operations forces activities in Pakistan represents only a tiny glimpse into one of the darkest corners of current US policy in Pakistan. The opinions expressed in this commentary are solely those of the author. The Justice Department is expected to release the report to Congress and the public at 11:00 a.m.
"You will now mark all your life by what happened before and after April 20, 1999, the day your world will be turned upside down"